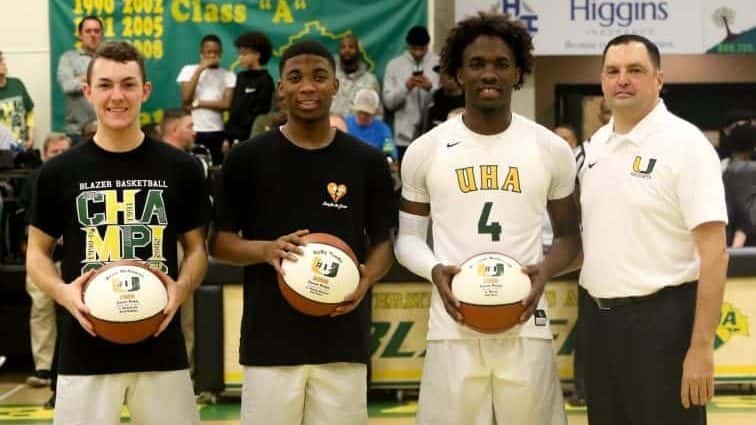 They have been a part of a very successful run for the University Heights Academy boys basketball program. 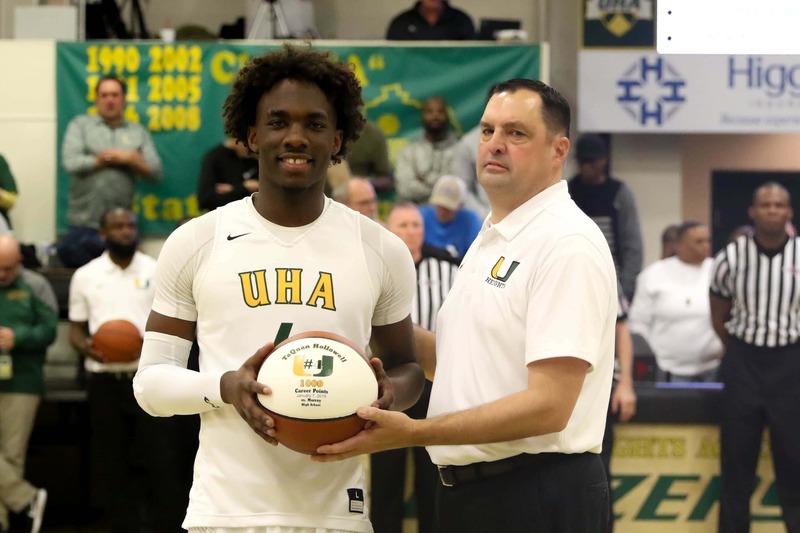 Saturday night, just prior to tipoff of the 8th District battle with Hopkinsville, UHA recognized three outstanding athletes for their career accomplishments. 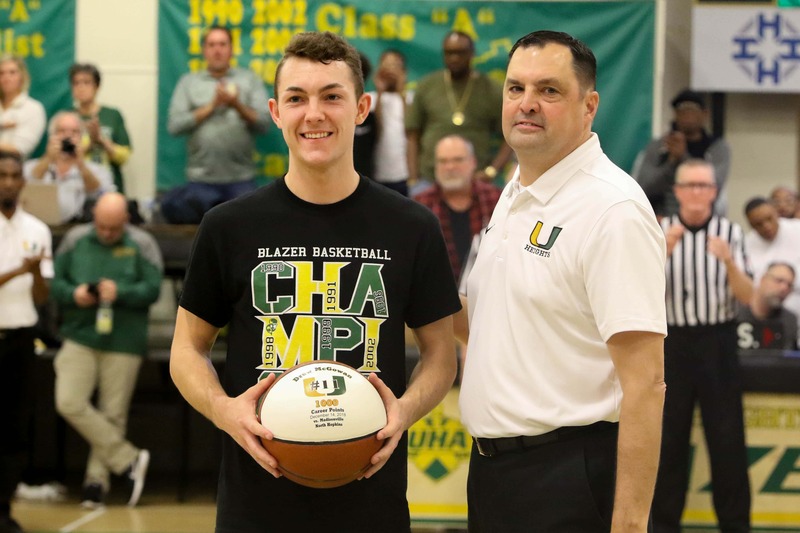 Drew McGowan and Taquan Hollowell were each presented basketballs in recognition of 1,000 points scored during their careers in the Blazer program. 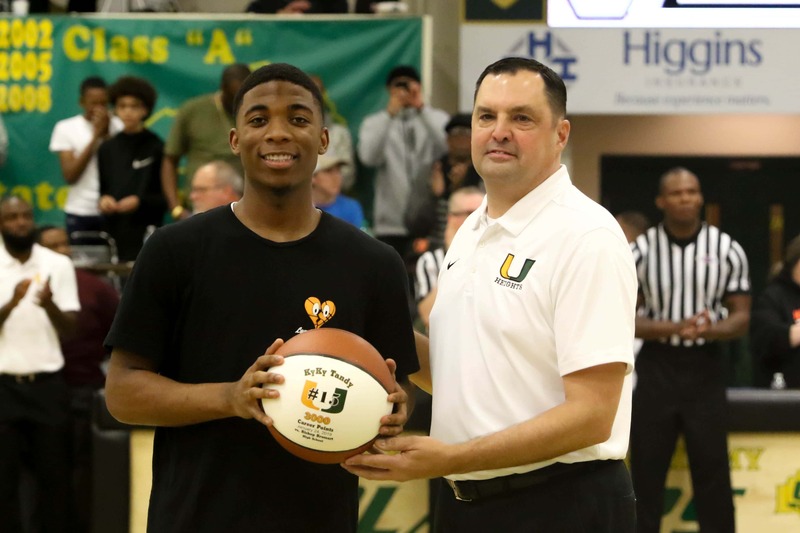 KyKy Tandy was presented a basketball in recognition of 3,000 points scored during his time at University Heights.